The posterior sacroiliac ligament is situated in a deep recession in the middle of the sacrum as well as ilium at the posterior side. It is strong and creates the main link of union among the bones. The upper part a.k.a. short posterior sacroiliac ligament is nearly horizontal in direction, and travels from the first and second transverse tubercles on the back of the sacrum to the tuberosity of the ilium. The lower part a.k.a. long posterior sacroiliac ligament is obliquely directed. It is connected from one extremity towards the third transverse tubercle of the back of the sacrum and via the other towards the posterior superior spine of the ilium. The long posterior sacroiliac ligaments which control anterior pelvic rotation or sacral counter rotation. 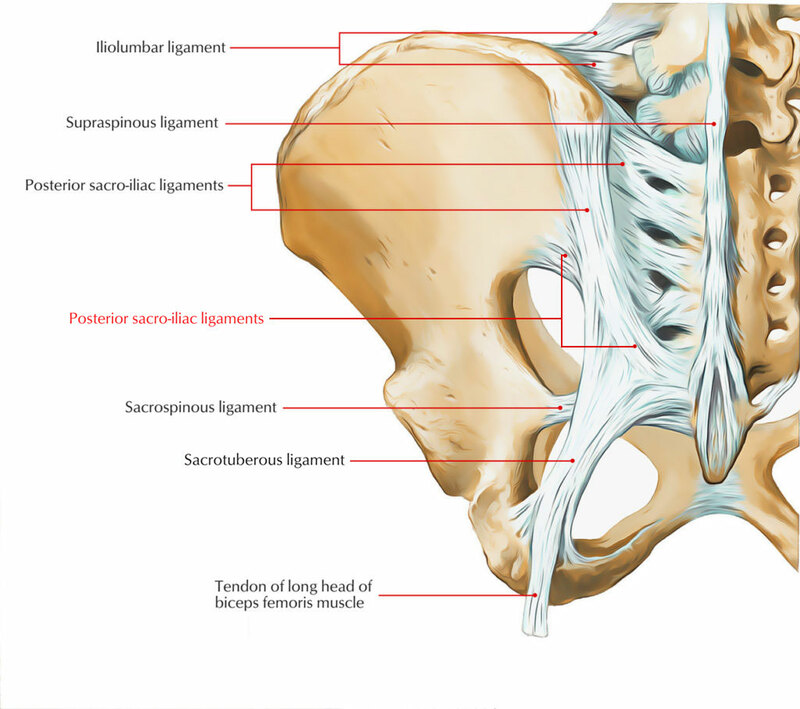 The short posterior sacroiliac ligament which controls all pelvic as well as sacral motion. The posterior interosseous ligament which creates portion of the sacroiliac articulation, the syndesmosis as well as the anterior sacroiliac ligaments. The sacrotuberous ligament and sacrospinous ligament control nutation along with posterior innominate rotation as well as gives vertical stability. The iliolumbar ligament reinforces L5 on the ilium.